Real Estate included in this turn key restaurant facility. This very high visibility location is in a very desirable area of college rentals and just steps from the University. There is approx. 135 feet of street frontage. This is a very busy street for both cars and foot traffic. Almost all the equipment including the hood system is new. 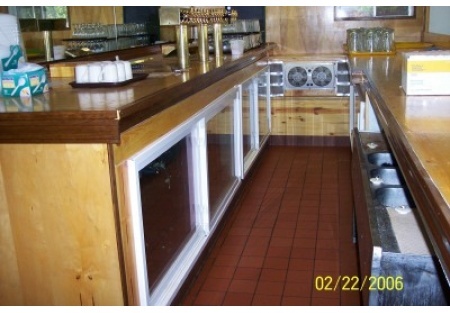 There are walk-ins at each side of the cooks line as well as built-in refrigeration under the bar. ALL NEW. This 3600 Sq.Ft. facility sits on over 22000 Sq.Ft. of property. This is a rare find and an excellent investment opportunity. Priced below market for a quick sale. This is a Paramount Restaurant Brokers, Inc. DBA SellingRestaurants.com listing.